The Mermaid Life: HOW I MAINTAIN MY CURLY AND FRIZZY HAIR - BUMBLE AND BUMBLE SHINE ON (AND ON...) FINISHING SPRAY, ALBERTO BALSAM AND BED HEAD. 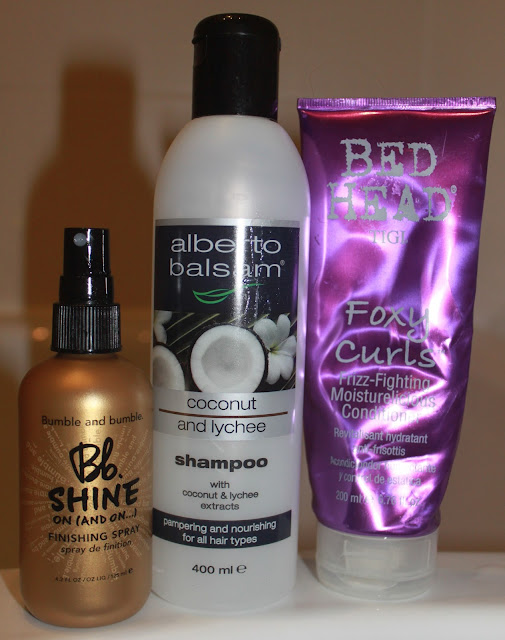 HOW I MAINTAIN MY CURLY AND FRIZZY HAIR - BUMBLE AND BUMBLE SHINE ON (AND ON...) FINISHING SPRAY, ALBERTO BALSAM AND BED HEAD. As you can see, my natural hair is a mixture of curly, wavy and frizzy. Because of my layers the curls/waves vary. 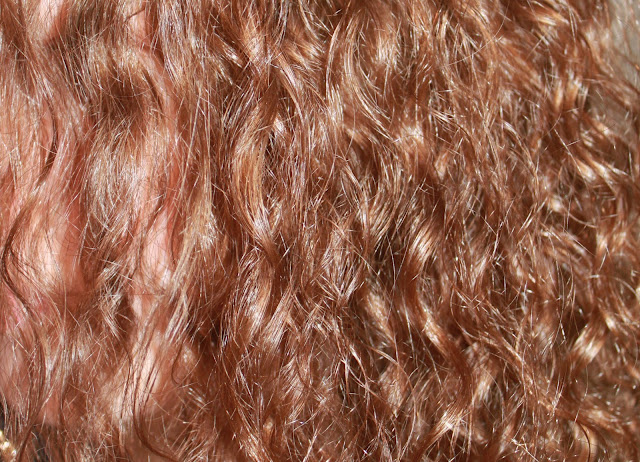 Most curly hair is prone to damage and mine is no exception. Because of my dry hair I avoid straighteners but I still blow dry and then use the curly hair with no heat technique. This is my hair when I've just washed it and left to dry. Everyone has their own ways of looking after their hair, but this is how I keep my frizzy hair in the best condition it can with no heat. As a student I can't get amazing products so I ask for them on my birthdays and other occasions. Here is each product and what I do, and what it does for my hair. Alberto Balsam Coconut and Lychee shampoo. I am in love with Alberto Balsam shampoos and conditioners at the moment as they're so well priced. £1?! Can't complain! These also claim to have all the ingredients the more high end hair products have. As a student these are a blessing, and I especially love the conditioners. I find that they're so nourishing and leave my hair silky soft. These also smell so good too and I get loads of compliments from using the Raspberry one. I'm not too bothered by shampoos and I'll use any of them, as I find that the conditioners benefit my hair more. So this little shampoo beauty does the trick. You can grab these lovely tubes of goodness from your nearest supermarket, I get mine from Tesco. Bed Head TIGI Foxy Curls Frizz-Fighting Moisturelicious Conditioner. I really love this. However I don't think it stands out that much compared to other high street conditioners. It's good and does the job but I don't think it's worth the £9 price tag. You can get this at Fragrance Direct for £6.75. The one thing I love about this is the smell. My gosh. It smells divine. Once my hair has dried is smells like I've washed my hair in sweeties! My hair is good enough to eat once I've used this, and my boyfriend compliments me every time I use this and lasts until the next wash. Plus this really helps fight the frizz. Bumble and Bumble Shine On Finishing Spray. This is another goodie from the lovely Holly Arabella - Check out her blog! I love this spray. It really defines my curls and keeps frizz at bay. 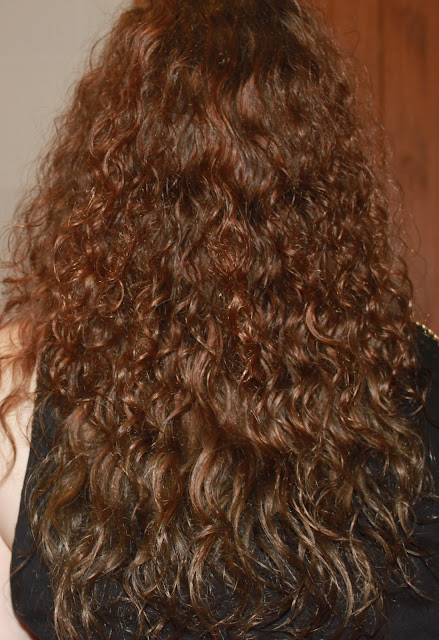 I just spray some on and crunch my hair, and my curls are less frizzy and more defined. The one thing I don't like about it is its strong smell and it leaves my hands feeling dry. However once sprayed onto my hair you can't smell it at all, and my hair still smells of sweeties! I really love this, and I use it all the time on my curls. However I'm not a huge fan of using it on poker straight hair. It adds so much shine to my curls too which I am in love with, and this is definitely my to go to finishing spray. I think the price tag is a bit big for me, but I will be tempted to repurchase once used up. You can get the finishing spray from boots at £9.50 for 60mls or the 125mls that I have here from the Bumble and Bumble website for £21.50. shape while it's in its natural state! Do you have curly hair too? I'd love to hear what you have to say, and I read and respond to all comments. I've managed to almost destroy my natural curls, how much i regret buying a decent pair of straighteners is unreal, it was just too tempting! 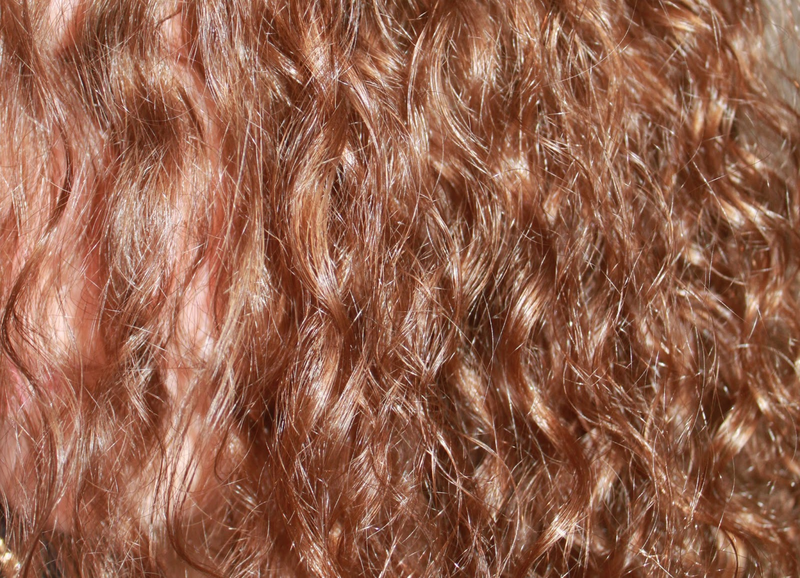 Do you use any particular products that make your hair even curlier? Other than avoiding straighteners and letting my hair grow out, i don't know how i can encourage my hair to curl again! And I'm glad I'm not the only one who gets expensive hair products that I otherwise can't afford for christmas! Your curls are so pretty!!! Yay for lovely hair. So glad you like the Shine On & On too, it's amazing isn't it!